FibreGrip Aluminum Stair Edge is an excellent choice for providing a cost effective and permanent slip resistant solution for stair edges. 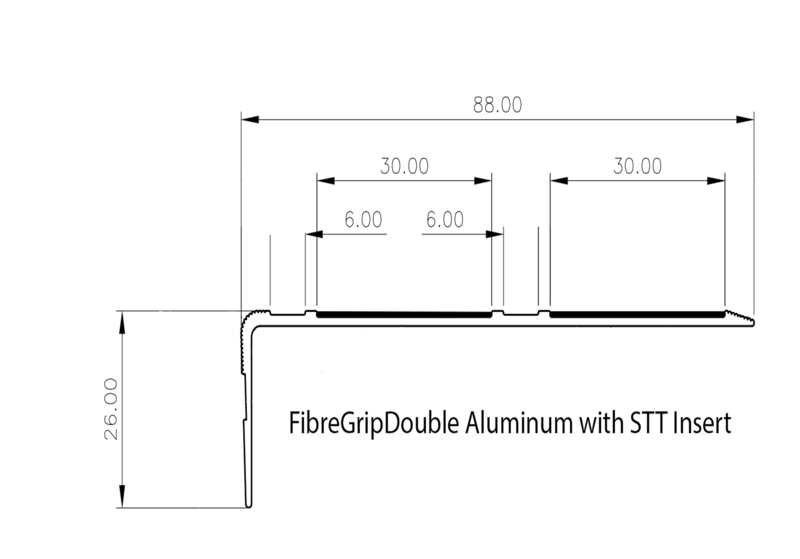 FibreGrip Aluminum Stair Edge can be installed on most substrates. ie. tiles, metal, concrete or wood. FibreGrip Aluminum Stair Edge provide an durable product which is ideally suited for corporate and commercial buildings. FibreGrip Aluminum Stair Edge have been installed in where aesthetics as well as a hard wearing product is needed. FibreGrip Aluminum Stair Edge can be used indoors or outdoors with the greatest of confidence. 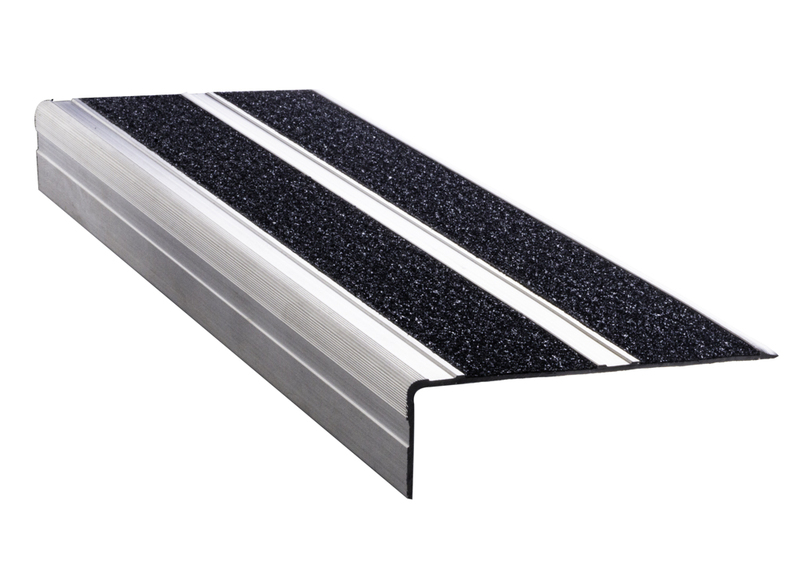 FibreGrip Aluminum Stair Edge will cover chipped stair edges making them safer whilst protecting the stair edge itself to further costly damage. FibreGrip Aluminum Stair Edge provides a non-slip surface as well as better contrast in order to visually assist when approaching stairs.